One of my biggest fears when I found out I would be having two kids under the age of two was getting out of the house on my own. Trips already took twice as long when I had to drag Lucy in and out of the car. Would I ever leave the house again when I had 2 babies?! Try not to browse the shoe aisle until after you've gotten your necessities. It's harder than it looks, I know, but you'll thank me when you're able to race to the checkout with everything you need when your kid starts having a meltdown. Keep a list on your phone, and keep that phone handy! I love this nifty little Velcro pouch because yoga pants don't have pockets. Write a Grocery List | Another simple, but pertinent tip is keeping a grocery list on hand. You can read more about how I meal plan HERE, but to keep things short: write a detailed but clean-written list before you go. I prefer paper and physically crossing things out, but I've used the notepad on my phone in a pinch. If you can, write the list out in order of which items come first in the store. I find this helps me not have to backtrack and take twice as long in one location and helps me to not forget things. Speaking of forgetting things, for heaven's sake--don't forget that list! Keep Baby Happy | However you choose to do this, it will make your trip so much easier to not have a baby crying in your ear while you're searching for the Cheerios. Baby wearing is nice, but sometimes we just get too sweaty and the little guy just wants to look around. That is why I am so thankful for my Binxy Baby hammock! It is Ahh-mazing! Parker lasted twice as long in the store when he was cruising in this thing and it was so easy to install! Just strap the Velcro around the sides of the cart and snap the plastic edge over top. Strap baby in and hand him a toy, or plop your whole infant car seat in there with the handy car seat strap! It can support up to 50 lbs in weight! I love that this keeps baby happy (safely!) AND leaves room for my groceries underneath!!! It's so much nicer than letting Lucy crush the bread in the child seat. Want to order your own shopping cart hammock? Follow this link for a sweet discount! Binxy has been featured in Parent's magazine, BuzzFeed, BabyCenter and more, and has been thoroughly safety tested, so it is worth every penny! Apparently her brother is entertaining enough. Whatever works! Bring Entertainment | For some of us that's snacks, toys, the iPad or a game on your phone, or maybe even all of the above! Just don't feel bad if you have to break out the fruit snacks in the middle of Walmart. Do what you have to to keep your sanity, mama! I try to bring snacks and toys from home to save on costs and as not to spoil my daughter into thinking every trip to the store is a new toy! Relax! | Lastly, just don't worry so much! I'm a big planner/organizer, so this one took a lot of work and I am still learning to give myself grace in this department. I promise, it is totally okay if your toddler has a melt down because you bought the generic froot loops. It's okay if you can't find the organic bananas and had to go with a regular bunch. It's okay if you barely made it out the door and didn't shower or put on makeup. We are all moms and I know we have all been there at least once! Don't stress about the little stuff, and (try to) learn to be a little more carefree. It's not easy, but it makes a big difference! 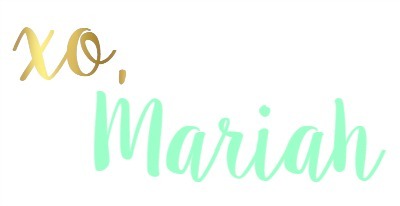 I hope this was helpful and inspiring to you mamas who dread going out as much as I did! 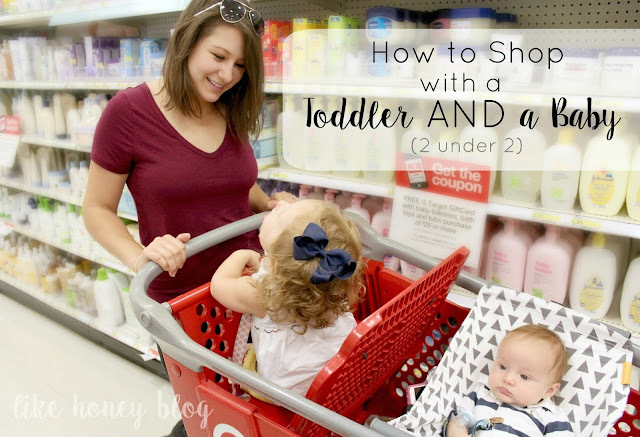 Sometimes, I still send my hubby out for milk to save time, but after reaching out of my comfort zone and finding fun products like the Binxy hammock, I can honestly say I like don't mind shopping with two kids! Such a great little thing I wish I would have known about earlier in my parenting career! Isn't it awesome? The only thing I wish was that it had an extension for those giant shopping carts at Aldi and Sam's!